Alabama beat Texas A&M 45-23 on Saturday, moving to 4-0 on the season and almost assuredly guaranteeing the Crimson Tide will enter next week as the top team in the country. "We have a good team, but our team needs to do a lot of things to improve, all right? 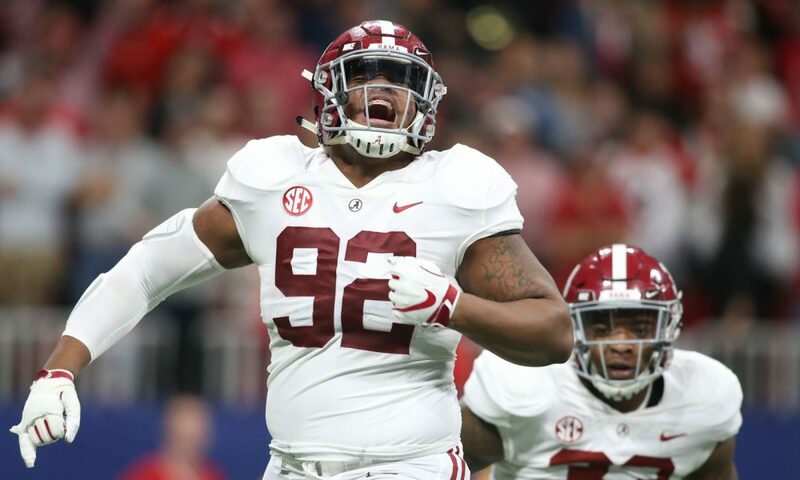 "If what our team has accomplished to this point makes them in any way not take into account the kind of teams that we have to play in the future, and they underestimate what we need to do to improve so that we can become a better team and don't just take things for granted, all right, that we're going to show up because we have an Alabama uniform on and win the game, it's not going to happen that way, and it's going to be everyone's choice in the organization. "So I would appreciate it if you would sort of look at some of the things we didn't do so well, all right, and write about that so I can show it to the players and say, 'Look here, man. Here's something you can do better.'" Alabama didn't do much wrong Saturday, as it led 31-13 by halftime. Quarterback and Heisman Trophy hopeful Tua Tagovailoa finished 22-of-30 for 387 yards and four scores, and Alabama's defense racked up seven sacks, 10 tackles for loss and two turnovers. For Saban and the coaching staff, the film will reveal mistakes and areas to nitpick. But the Crimson Tide have come out swinging once again in 2018, outscoring opponents 215-51 just four games into the season. Until November—when the Crimson Tide will face the meat of their SEC schedule, playing LSU, Mississippi State and Auburn—the upcoming opponents aren't difficult (Louisiana Lafayette, Arkansas, Missouri and Tennessee). It's a fact that hasn't been lost on Saban as he seeks any motivational tool he can find. That makes those contests, namely the ones against SEC opponents, potential trap games. October in the SEC has gotten the best of potential contenders in the past, but Alabama has shown little indication of letdown thus far and clearly has the talent to power past any lapses. Even if Saban wouldn't mind the media providing external motivation.